February has come and gone, and it proved to be a wonderful month for new Japanese learning resources! We have some excellent quality of life extensions, websites, and a ton of apps for you to peruse. LLN (Language Learning with Netflix) is a Chrome extension that's designed to help you study and improve your language skills using Netflix. 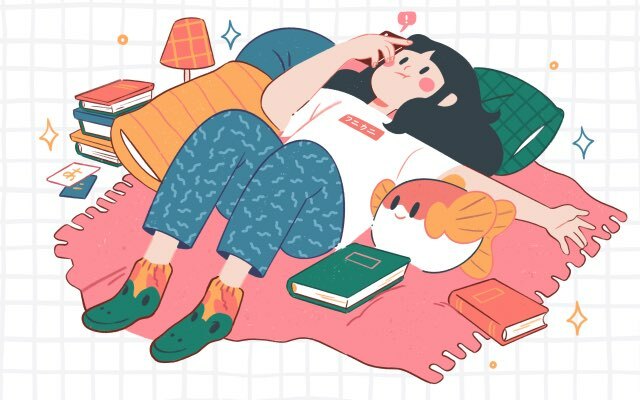 Their website provides a catalogue of resources based on what language you'd like to focus on (Japanese) and your Netflix account's country of access. Once the extension has been installed, you can use the tool with any Netflix video in the language you'd like to learn by opening the study panel. From this panel, there are many options, but the most important are the translation language and the option to "Show Human Translation." Make sure to use the "human translation," which will pull the Netflix subtitles. Otherwise, you will get a terrible machine translation. You can also decide if you want the text to auto-pause (which is on by default), meaning the video will pause every time an "utterance" is complete. This is usually not a full sentence, but whatever their algorithm believes is a complete piece of spoken language. There's also an option to slow the speech down if you're having trouble understanding quick utterances. You can also use the many inbuilt keyboard shortcuts to re-listen to utterances, pause, and skip through non-dialogue scenes. LLN (Language Learning with Netflix) is a Chrome extension that's designed to help you study and improve your language skills using Netflix. While the site currently states that all of the titles listed within their catalogue should be supported, those for Japanese are still fairly lacking. For example, the Japanese dictionary and level highlighting are not yet functional (at the time of writing this), which is extremely unfortunate because it's one of the major draws of the extension. Also, the subtitles tend to be broken up incorrectly, based on the English subtitle translations instead of the original Japanese. This is the nature of trying to automate subject-object-verb vs subject-verb-object sentences, but it makes the tool difficult, if not impossible to use at times. The team is still actively working on improving their product and expanding support to more languages outside of the "usual" Romance powerhouses, so hopefully the Japanese section gets some well-deserved love soon. This is a handy little project by Glenn Sun that makes searching Jisho and ALC a little easier by giving you both in one page. Now you can look up any pesky words you want on both sites, to find English definitions, sentences, and usage examples, without opening two tabs. There's also a clearable search history on the right side that you can use to keep track of what you've searched for recently. There is also an OCR (Optical Character Recognition) dictionary that can be used with pictures of text, with varying degrees of accuracy. It certainly works better with kanji taken from a nice, legible computer font (as opposed to a picture of a street sign or a page from a manga). All it needs is about five more panes with five more dictionaries, and we'll never need to open more than two tabs again. This site is very, very new, but it's got a lot of promise, so we figured we would mention it so you can keep an eye on it. Level Up Lingo is a website, currently in beta, that's designed to quiz you on JLPT vocabulary words. Once you've picked the level you'd like to review, you're taken to a page with a simple background image (that you can change, along with the text color, via the options at the bottom of the page). In a pixelated font, words appear on the screen in Japanese. You then use the arrow keys to choose the answer. If you are correct, the answer is highlighted in green. If you are incorrect, the meaning you selected will be highlighted in red, and the correct answer will be highlighted in green. When you're ready to move on, you just hit enter. It's quite simple, and there are still some basic formatting and font issues that need to be addressed (plus the fact that it doesn't work on mobile devices). But it's still a strangely satisfying way to quickly review words when you have free time. 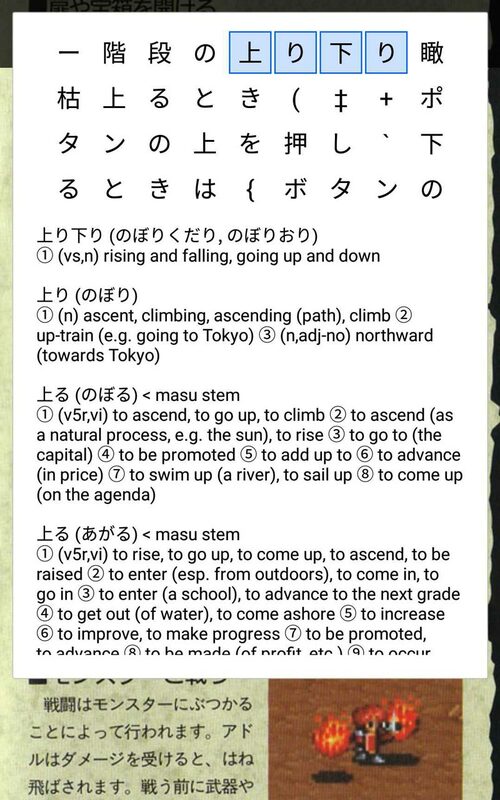 Japanese verb conjugation takes a lot of practice, and the Android app Conjugation City is here to make sure you get lots of it on the go. Open Conjugation City, and you're greeted with twenty-three types of verb conjugation in both affirmative and negative categories. You can mix and match the conjugations you want to practice by tapping the on/off switches next to each item. Set your desired number of quiz questions (from 1 to 100) and start! The quiz gives you N5 verbs in kanji, and you must conjugate them into the target form. If you can't read the kanji for a particular verb, clicking the 文 icon in the top right opens display options: kanji, romaji, hiragana, or some combination of the three. Type your answer in romaji or hiragana and hit enter. You can mix and match the conjugations you want to practice by tapping the on/off switches next to each item. Set your desired number of quiz questions (from 1 to 100), and start! When you get a question wrong, you can press Explanation to get a mini-grammar lesson explaining exactly how to conjugate the verb you're working with. There are some drawbacks: you can't exit the quiz midway and get back to the main screen without quitting completely and restarting the app. There are also ads after almost every quiz, so keep that volume muted. Once you get used to the ins-and-outs, this app is an easy way to drill Japanese verb conjugations you want to strengthen. Give it a download, and see how much better you get at causative, volitional, command, and all the other forms. Kanji-learning is a long journey that requires hard work, so it's good to have some fun with kanji drills once in a while. The Android app Kanji Narau can fill that need. There are three types of games to play divided into eight categories like numbers, animals, fruits, weather, and insects. Click Test and the games begin! True-false quiz: When the kanji and image match, tap the green check. When they don't, tap the red X.
Kanji bounce: Tap the bouncing balls that match the kanji. Kanji line-up: Drag and drop the images in the same order as the corresponding line of kanji. If you need a refresher, there's also a Study option for each category that shows images, kanji, and English translations. This might be a good way to remind yourself of kanji you know, but it's not the best way to learn. Kanji Narau can be a fun way to test your kanji recognition skills. Just be aware of the persistent (and sometimes loud) ads that play after almost every game and test. Finding a smartphone equivalent of the browser-based Rikai pop-up dictionary is not easy. And even if you can find one, it won't work with ebooks, games, PDFs, or other apps. These are exactly the problems that Kaku solves. 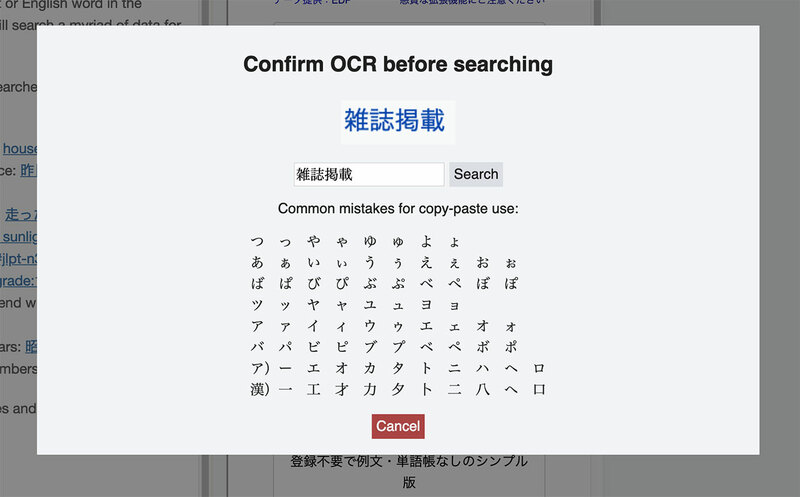 Kaku is an Optical Character Recognition (OCR) Japanese dictionary, which means it works over other apps, grabs images, and recognizes Japanese characters. 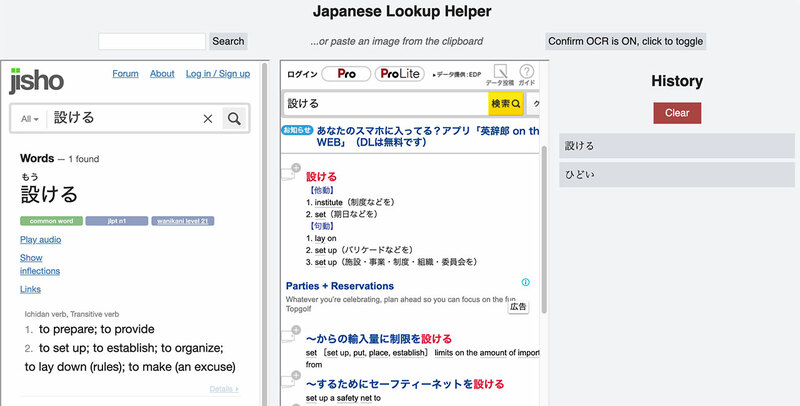 Here's how it works: turn Kaku on, open your Japanese text (I was reading PDFs), and drag the capture window over it. Resize the window, double-tap, and you get a box showing the Japanese that Kaku sees. Tap any of the characters, and you get dictionary definitions for that character. If Kaku doesn't recognize the character right away, you have various options to change the image capture settings or to modify/re-draw/delete individual characters on the fly. You can even send text to your Google translate app or send copied text straight from any app to Kaku. If all this seems like a lot, there's a tutorial, and with a few minutes of practice it all becomes second nature. Kaku is unique and needs special permissions like displaying over apps and capturing images of your screen. This made me hesitant at first, so I reached out to the developer, who explained how it all works: Kaku's image captures stay on your phone and are deleted after one day, with the app casting the images to itself to read the text (hence the casting notification). I'm not a developer so I can't verify this, but the bottom line for me is that Kaku is open-source, and anyone can check out the source code on Github. Considering the heft of the app (and the age of my phone), Kaku worked well without too many hiccups. Overall, it's quite impressive, and if you want to read or play games in Japanese on your Android device, definitely check it out. This extension changes every new tab you open into a learning (or reviewing) experience. Instead of getting a blank tab in Chrome, each new tab generates a random Japanese word. Words appear in romaji with kana below, and kanji (if applicable) and katakana below that. There is an English translation, parts of speech, and audio provided as well. Because it's taking the place of your new/blank tab in Chrome, there is also a list of your most frequent sites beneath the Japanese word information, but you can remove them in the extension's settings. There are also color swatches you can choose from, if you want to make sure your tabs only appear in a color you really like. The app is being actively improved, so things like example sentences for each word (and more) are said to be in the works. Keep an eye out! 2019 is chugging along now, isn't it? We'll see you next month with more new Japanese learning resources, which you can help with by sending us a heads-up when you find new resources and study tools you think other people should know about. Email your finds to hello@tofugu.com, or hit us up on Twitter @tofugu. We'll give you a shout-out if you do, and you'll feel cool!